We are back to a regular format with this weeks show as there was more than one match, last week’s show having one match was a nice break from what I am used to but it’s nice to go back to the original format after a week like last week. That said this week’s show was crazy they packed a lot of stuff into their one hour and it was all really good. This week’s one hour episode of Ring Of Honor TV was better than this past Monday’s three hour episode of Monday Night RAW. That should be a problem somewhere shouldn’t it? Anyway onto this week’s review. Result: Adam Cole defeats Rocky Romero by submission with the figure four leg lock. Thoughts: At the start of this match the announcers made mention that this was Adam Cole’s first singles match since he lost the World Title to Michael Elgin at this past June’s Best In The World. There was something off about this match but I am not sure what it was exactly, they just didn’t seem to gel like they could have. That’s bound to happen in wrestling though not every match combination is going to produce a great end result. At one point in the match Romero flew through the ropes at Adam Cole while Cole was on the outside of the ring. Romero knocked Cole down with the move but almost did more harm than good to himself because he near killed himself hitting his head on the barricade. Later Romero hit Cole with a flying knee to the floor. Adam Cole responded by trying to kick Romero’s head off but it looked like he ran crotch first into his face, which didn’t look good at all. The finish of the match came when Adam Cole hit a neckbreaker and got a near fall he immediately capitalized by locking on the figure four leg lock to which Romero instantaneously tapped out giving Adam Cole the win. Thoughts: I’m always happy to see Tommaso Ciampa wrestle on ROH TV, because he is my favorite guy in the company currently. Having said that, I am not a huge fan of his opponent at all. Adam Page has had one really good match with Silas Young last year, and that was all thanks to Silas Young and how good he is. This was not that. Adam Page is too far removed from that match and is a mediocre wrestler at best(True's note: Adam Page is a great wrestler and has shined outside of ROH tremendous). A few minutes into the match Ciampa rolled to the outside of the ring. Page got out of the ring, but remained on the apron and ran at Ciampa, hitting a shooting star press off of the apron that looked like trash. I don’t know if it’s the move or the guy doing the move, but doing a shooting star press to someone on the outside of the ring while they are standing doesn’t really work for me. It seems Page does moves just to do them and that’s the one thing that really bothers me about him. Later on in the match Ciampa locked on the Sicilian Stretch to try and score the submission victory to no avail, as Page would find his way out of the hold and execute a backbreaker on Ciampa for a near fall. After Ciampa kicked out he fired up and hit Page in the face with a running knee. He followed it up with Project Ciampa to score the pinfall victory. After the match, Ciampa cut a very passionate promo about wanting to be the World Heavyweight Champion and he seemingly placed a target on current champion Michael Elgin. These two had a match at last years Best in The World IPPV and it was really good so I’m hoping it happens again this time with the title on the line. Silas Young comes out and gets in Ciampa’s face and says that nobody gets a world title shot until he gets his because Silas is the current number one contender. Ciampa responds by beating him to the ground only for Young to get out of the ring before Ciampa can deliver any damage. Thoughts: Michael Elgin brought out his trainer Tyson Dux to fend off anything that Bobby Fish may and try to do to Elgin during the match. Fish responded by saying he wasn’t aware that Dux was even in the building because ROH failed to send him an email. Bobby Fish is a wrestler who is a true heel, he gets what it means to be a heel and he is so good at it. Elgin got sick of hearing what Fish was saying so Elgin ran over and drop kicked fish through the middle and bottom ropes while grabbing hold of the top rope so Elgin could stay in the ring. Nigel McGuinness was great on commentary throughout this match talking about how hard it is to be the World Champion and really painting the Ring Of Honor World Title in a positive light. That’s something he was obviously passionate about since he was one of the longest reigning champions in the company’s history and has had the most title defenses out of any champion in company history (himself and Bryan Danielson are both tied for most defenses at 38). Deep into the match O’Reilly hits Elgin with Axe and Smash, which is a spinning backfist/Knee to the back of the head combo. 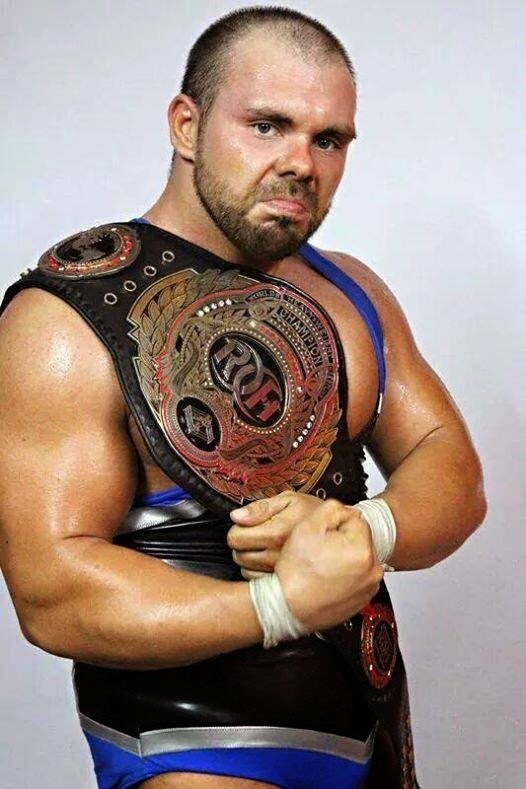 In the end, O’Reilly fell to Elgin and his Elgin bomb, as Michael Elgin would retain the World Title. The match was fantastic. At the end of the match things got crazy as former Champion Adam Cole came into the ring to attack current Champion Michael Elgin. Ciampa jumped Cole and then Cedric Alexander rushed the ring to get a piece of Cole as well. Later The Briscoe’s came out as well as War Machine all to try and take out the Kingdom (Adam Cole, Michael Bennett, and Matt Hardy). Later on in this entire sequence, Cedric flew to the outside of the ring onto everyone who was waiting for him. Cole then tried to hit Elgin with Elgin’s own World Title but Elgin gave Cole a spinning back fist. Elgin proceeded to pick up Adam Cole and powerbomb him onto everyone. Final Thoughts: There were two really good matches on this show and one not so good one. 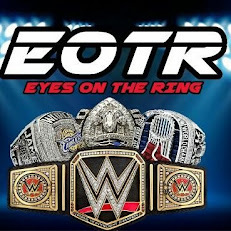 But the final segment was absolutely fantastic, I hope this review did it justice and until next time, I am Nathan saying so long for now and keep your eyes on the ring right HERE!